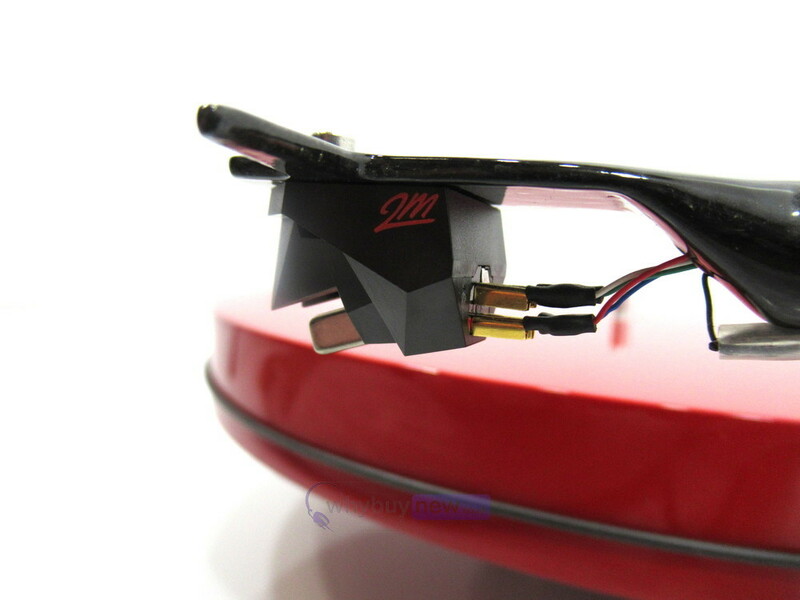 This Pro-ject RPM1 Carbon Belt Drive Turntable has come to us via a part exchange and comes with a 3 month warranty. 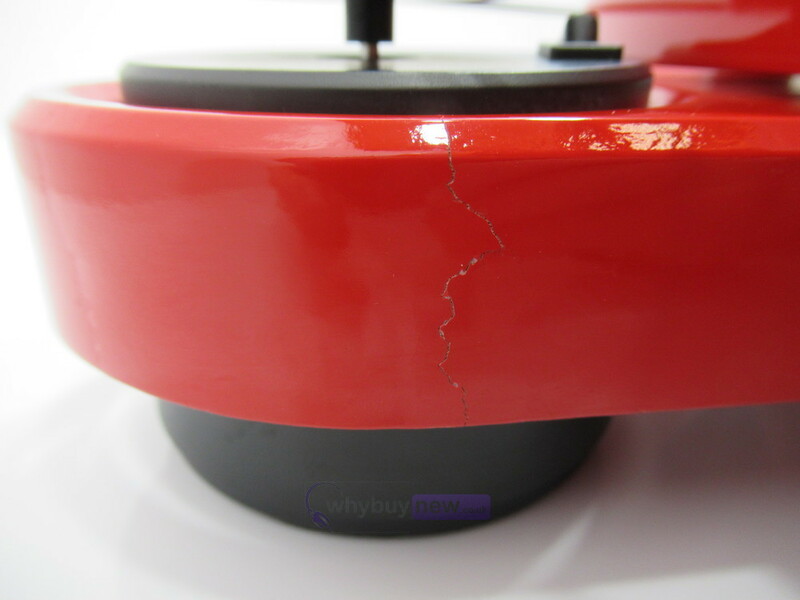 The item is in good cosmetic condition with one crack on the main body near where the motor sits (please see photos). 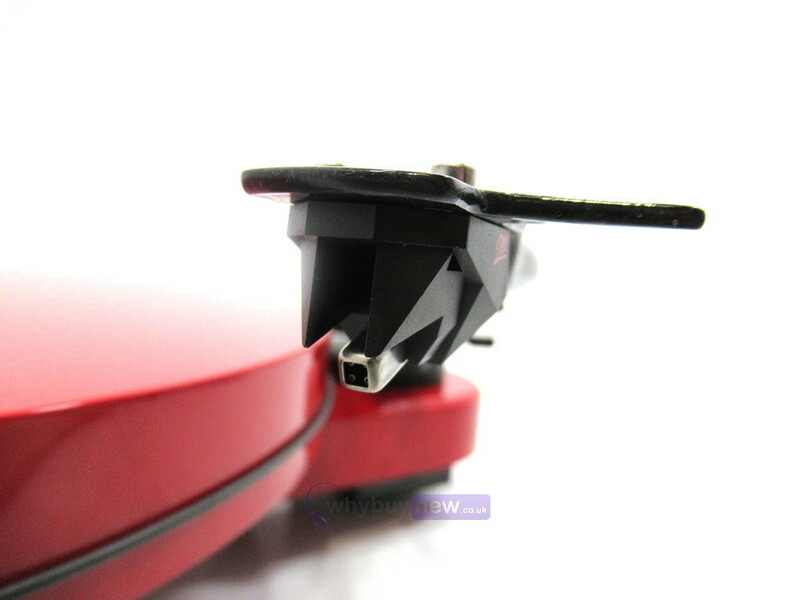 It comes with a Ortofon 2M Red MM Cartridge (no stylus), power supply and manual. The stylus is not included. This Pro-ject RPM1 Carbon Belt Drive Turntable does not include original packaging but has been professionally packaged to ensure safe delivery to your door. RPM-1 Carbon utilises a lot of innovations and enhancements: A low resonance chassis holds a newly designed inverted platter bearing with ceramic ball for further reduced rumble. An outboard 15V AC motor is smoothly driven using an ultra-precision AC generator with DC power supply for further enhanced speed stability. 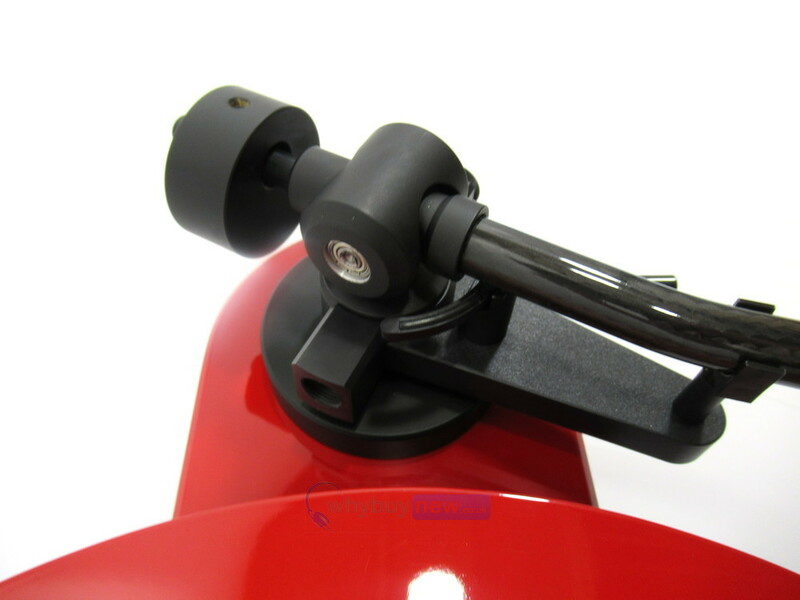 A completely new designed S-shaped tonearm tube is made from carbon fibre, aluminium and resin. Using a complex 3-step process with heat treatment and 100bar pressure, arm tube rigidity is strenghtened, internal damping is maximized and resonances are reduced to a minimum. 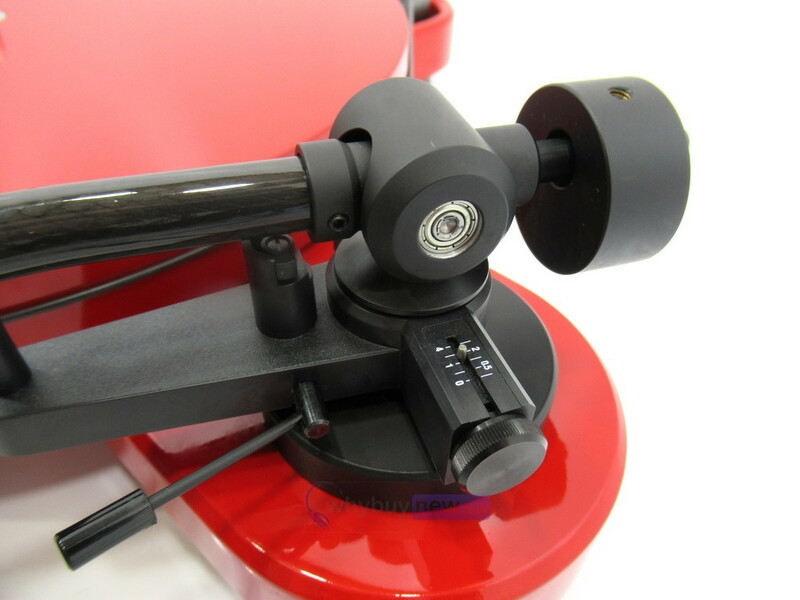 This makes the tonearm also suitable for MC cartridges. 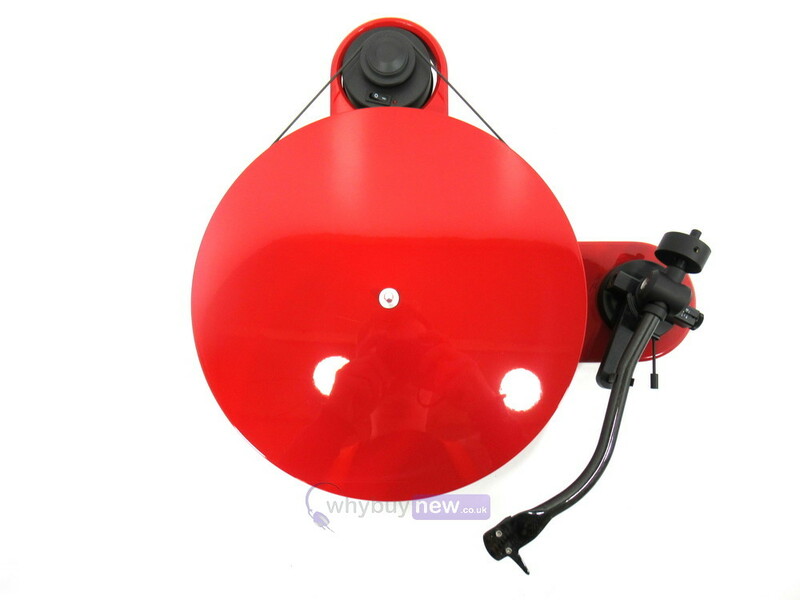 Additional features are a new magnetic antiskating mechanism and a TPE-damped counterweight. All ingredients add up to a miracle in sound for the price and ultra-stylish look!